It’s time for a very special event at the Oracle Arena. 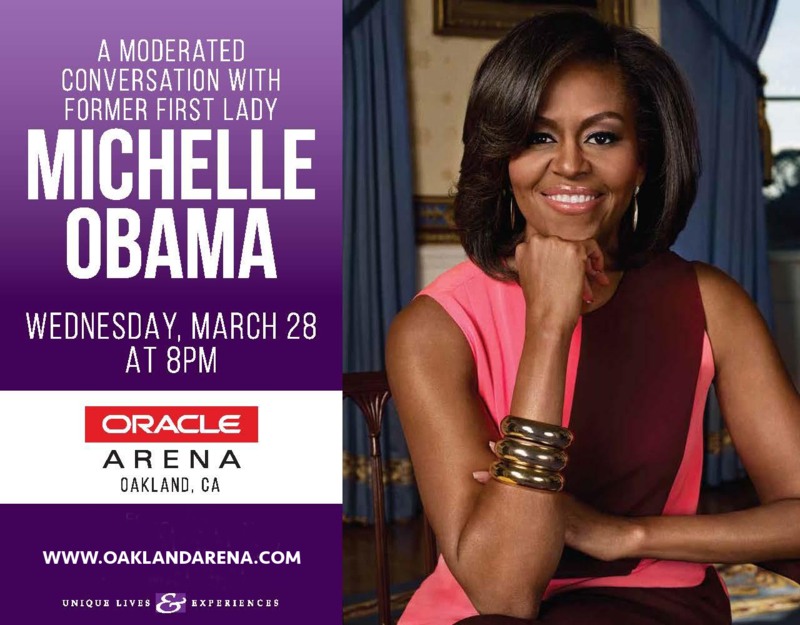 That’s right, the former First Lady of the United States of America is coming to Oakland to answer your questions in person. Get your tickets now to join the conversation on Wednesday 28th March 2018!! Tickets are expected to sell quickly, so don’t delay. As First Lady, Michelle Obama established four key initiatives; the childhood obesity programme Let’s Move!, Reach Higher, to get more young people into higher education; Joining Forces, to provide help and assistance veterans, service members and their loved ones; and finally Let Girls Learn, to provide the needed support to enable adolescent girls to go to school worldwide. The moderated event will follow a question-and-answer format, where Michelle Obama will directly address individual’s concerns. No politically concerned individual should miss this vital event – get your tickets now.